Sound – Winter 2014 Update | DPS Technical, Inc.
1. 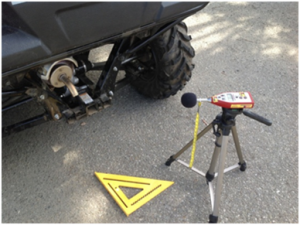 What are the road side or trail side sound test procedures? The sound test procedure for Motorcycles, ATV’s, ROV’s and MUVs is SAE J1287. 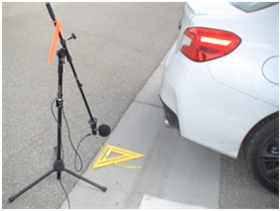 This is a stationary testing method where the measurement is taken close to the vehicle. 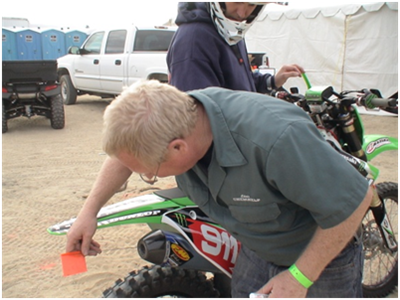 This procedure is outlined in numerous vehicle operational codes and in sporting regulations. 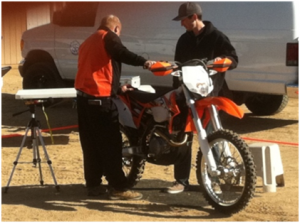 On Highway Motorcycles and Dual Sport Motorcycles – These vehicles are becoming very popular. The testing procedure for these on highway legal vehicles is covered in the SAE Test procedure, SAE J1287. On Highway Motorcycles “Street Bikes” – Be advised that an SAE test procedure has been developed specifically for On-Highway motorcycles. The test procedure is SAE J2825. 2. 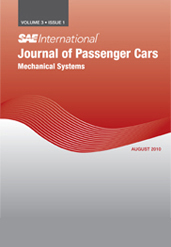 Are new designs of vehicles required to be noise compliant? 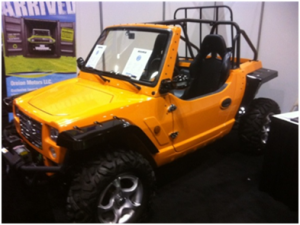 Yes, Side by Side ATV’s also known as ROV’s “Recreational Off Highway Vehicles” / MUVs “Multi Use Vehicles” are becoming very popular. 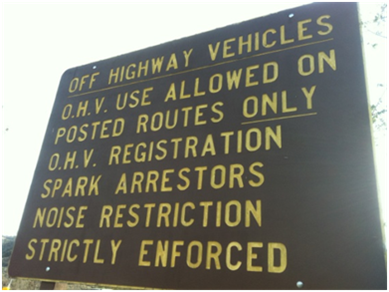 These vehicles are subject to the same noise and spark arrester regulations as other OHV’s and the test procedures and sound limits apply. Other Street / On Highway registered vehicles such as Jeeps and Sand Rails and Hot Rods must conform to noise control and adequate muffler requirements. Refer to the appropriate vehicle code sections. 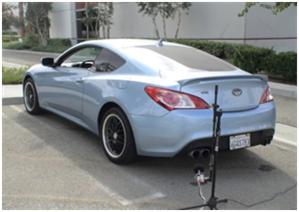 The sound measurement test procedures are published by the SAE. 3. 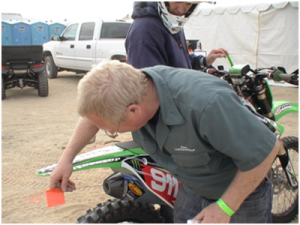 Are Mufflers and a Spark Arresters the same thing? 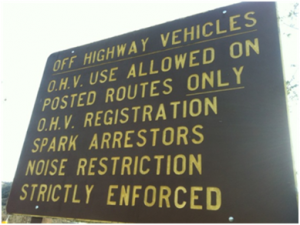 No, Off Highway Vehicle exhaust systems have several components. First is the Muffler. The muffler is for reducing the sound level. The second component is often a Spark Arrester. The Spark arrester is intended to minimize the potential for discharging particulates that can be an ignition source. These are individual components often. Each component requires maintenance to function properly. 4. What are the sound measuring equipment requirements? For Enforcement purposes, an ANSI Type 1 instrument is needed. The “evidence level” instruments require calibration to be utilized for evidence gathering purposes. When selecting instruments, be sure to consider the required performance level and calibration maintenance costs. The evidence equipment calibration term is yearly. For Awareness measuring purposes, an ANSI Type 2 instrument is suitable. These instruments are frequently utilized by trail volunteers and clubs. These instruments when calibrated and used by trained personnel provide reasonably accurate data. These instruments have a recommended calibration term of every other year. 5. Are sound measuring equipment programs available? Yes, several equipment programs are available, ranging from equipment accuracy verification programs (Calibration) and “loaner” equipment kits for special events. 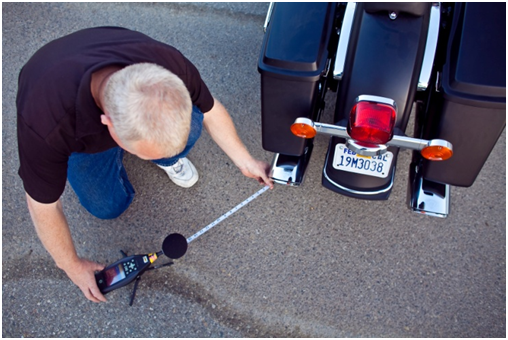 Complete sound measuring instrument kits are available for purchase. 6. How do you get more information or training? Instruction and training for noise control is available. DPS Technical coordinates these training sessions. Currently a schedule of live on location classes is being developed for the season. A web based training module is available as well as several field training refresher and outreach sessions. In the event your agency needs people trained please send an e-mail to us and we will send you the training schedule. It is my hope that this information is beneficial. In the event you require more information, please do not hesitate to contact me directly. District 36 Motorcycle Sports Committee, Inc.
© 2019 DPS Technical, Inc.